The Minicom 0SU52063A is an IP Remote Power Switch (RPS). The Minicom RPS allows remote power management of your data center over the internet. The switch is ideal for powering and rebooting servers and other devices in data centers and server farms. 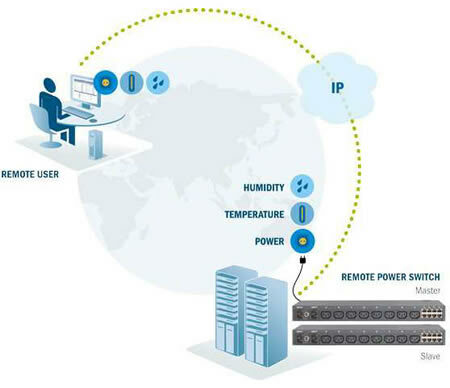 The two-in-one Remote Power Switch also performs environmental monitoring of the server room. The Remote Power Switch is part of a comprehensive remote management solution for the modern data center. It adds to your existing remote access capabilities, saving you the time and cost of visiting geographically remote sites. It gives you the necessary functionality to complete remote operations that require you to reboot the server, complementing out-of-band remote access to servers and devices from your KVM switching systems. There are three configurable modes of shutdown operations: instant shutdown, safe shutdown, and safe reboot. You can power up, power down, and reboot up to 128 connected servers and devices from anywhere over the Internet. You can easily configure power settings of the sockets via the Remote Power Switch web interface.